A new on-demand arts TV service dubbed a “cultural entertainment platform for the Netflix generation” has launched. 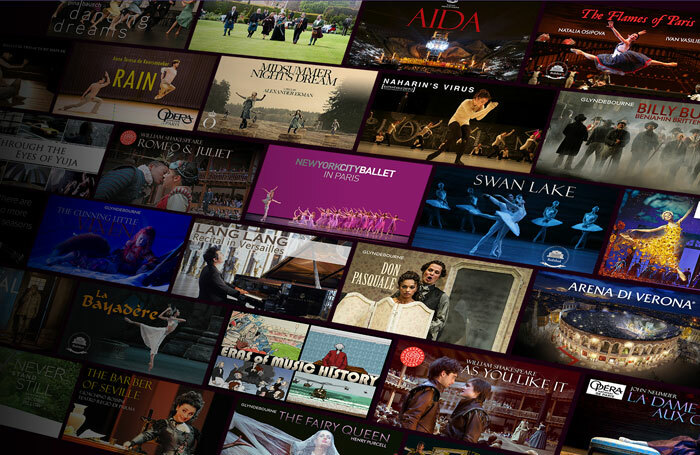 Marquee.TV  offers viewers access to content from across the world, including dance, opera, music and theatre. Co-founder Simon Walker said the service would be home to the “freshest, most innovative, most adventurous performances around”. It is available as an app on iOS or Android, as well as online and through Apple TV, Amazon Fire and smart TVs, at a cost of £8.99 a month. Content available from its launch includes David Tennant in Richard II and New York City Opera’s Brokeback Mountain, based on the story by Charles Wuorinen and Annie Proulx. Marquee has also teamed up with Opus Arte, the company that supplies filmed productions from the Royal Opera House and Glyndebourne. Marquee.TV follows in the footsteps of other cultural offerings, including Digital Theatre, but Armah said Marquee would offer that “final digital and mobile leg”. Armah said hundreds of hours of content would be available from launch, from organisations including Shakespeare’s Globe, and added that the company had enlisted “ambassadors” to promote the platform, including photographer Phil Poynter. “We think we can use their social influence to engage an audience,” he added.